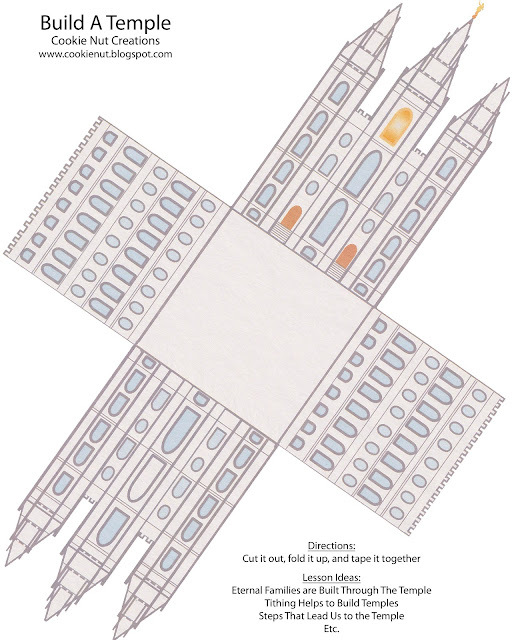 Cut out this image, fold the edges, and tape the sides to build your own temple. This is great for many lesson types. A lesson on how tithing helps to build temples (kids can use it as a tithing bank), on building a forever family (put hearts with ways we can be together forever inside), and many others. I love this idea. What a great and simple hands on activity for the littler ones for FHE! 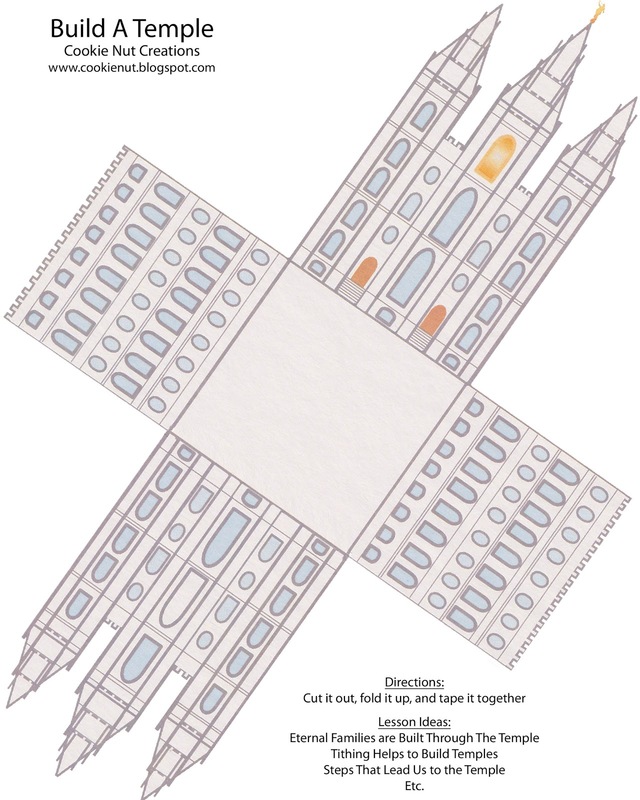 When I go to print this, parts of the temple are cut off because of printing margins. Can you fix this so that I can print it? I found this on pinterest and its perfect for our fhe tonight. I'm going to use it in a lesson about how the people turned their tents to the temple to hear Kind Benjamin speak. we'll put ideas of how we can make sure we're able to feel the spirit and hear the words of conference which is this week. Thanks! This is amazing! Thank you so much! I'm going to use it for my lesson in YW this week!! Also is there a print ouit for the stone and steps? after trial and error I figured out to print at 60% and the temple is perfect. hope this helps. Thank you this was a great Sunday activity for us! Thank you so much. I was able to print it by copying the picture and pasting it into a word document and (while holding the shift key)resizing it to the size I wanted it. Hope this helps!